This herbal blend is an excellent start for the day. The rosemary and ginseng get the blood flowing and help clear the morning fog and improve your mental focus, memory and concentration throughout the day. 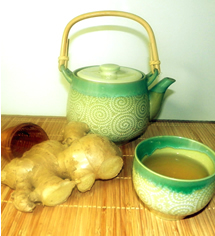 Recipe Instructions: Herbal Tea :Use one teaspoonful of herbal blend to each cup boiling water. Infuse for 10 minutes and drink warm.